We are an eco-organic farm located in Puerto Rico, in the interior of the island. 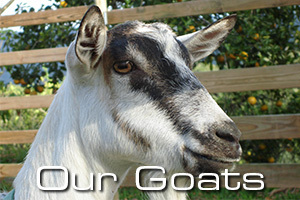 We raise goats for dairy and fertilizer, as well as chickens and ducks for eggs. 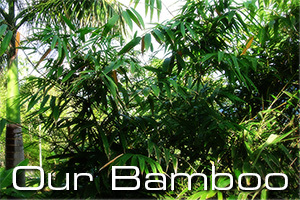 We grow fruit trees from around the tropical world (Borneo, the Amazon, West Africa, Thailand, right here in Puerto Rico and many other locales), as well as various types of bamboo (for eating, construction, shade, fencing and myriad other uses). We are 100% organic, we raise our animals humanely and we are also vegetarians. Please also note: We do not sell anything. Nor do we want to buy your chemical fertilizers, pesticides or herbicides. We are not set up to sell anything. Please feel free to use our website for information if you are setting up your own organic farm and contact us if you have any questions. 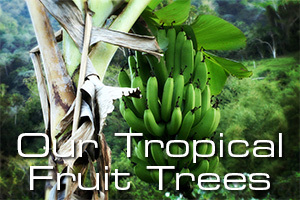 If you are looking to buy fruit trees or bamboo, we can make recommendations. If you are looking to buy goat milk and/or eggs, unfortunately we can't think of anyone who can help you. Thank you for visiting our website. We hope you will stay and read more about what we do. We want to leave this part of the earth in better condition than we found it.